Right here in Flint, Ebonie Gipson is offering something holiday-season shoppers won’t find at brand-name, corporate retail outlets anywhere else in the country: It’s not just the chance for bargains, but the added bonus of unique, local merchandise and greetings from friendly faces that represent the community year-round. Through I’m Building Something, LLC, Gipson organized the second annual Flint Small Business Saturday Nov. 24. Co-sponsored by American Express, the City of Flint, TheHUB and other partners, the event is an effort to involve consumers in an annual, nationwide movement to support local economies during the height of the gift-buying and spending season. A response to Black Friday, the day after Thanksgiving – when Christmas shopping and bargain-hunting accelerates throughout the country – Small Business Saturday aims to help spread the wealth to independently owned retailers. “Flint Small Business Saturday really got started last year, out of the need for entrepreneurs to have a way to participate in the busiest shopping weekend of the year,” says Gipson. 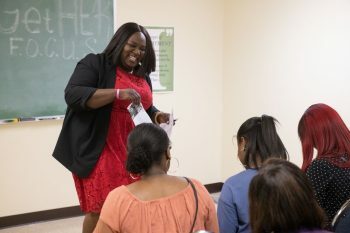 Gipson is owner of I’m Building Something, LLC, which has advised about 200 small businesses in fewer than two years of professional consulting. 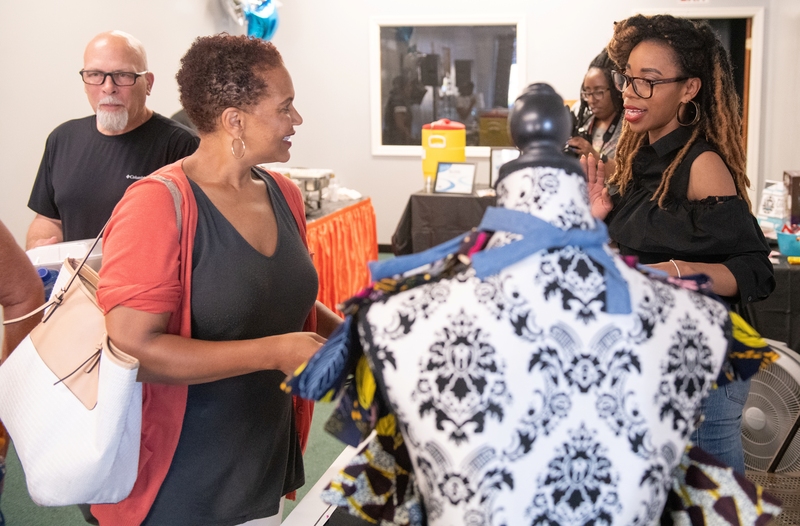 Based in Flint, Gipson’s team has worked to extend its support to neighborhood-based retailers and service-providers beyond the boundaries of the city’s downtown landscape. Gipson says 2017’s inaugural Flint Small Business Saturday was largely the result of requests from I’m Building Something, LLC clients. “Their question was, ‘How can you support us more?’” she recalls. 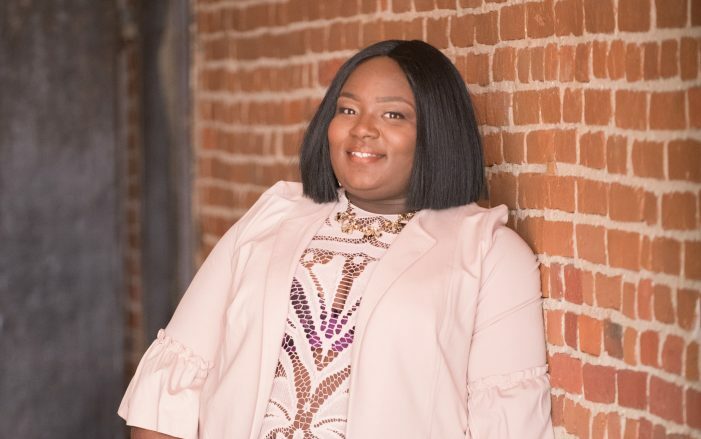 Before I’m Building Something, Gipson worked more than 12 years in retail management, leading stores affiliated with such brands as Coach and Jones New York. She avidly endorsed local businesses, but also noticed, when she wanted to support smaller stores, that some essentials were missing from their knowledge base of business operations. Since launching her consultant service, she has helped guide the development of entrepreneurs in areas ranging from catering to boutiques. Many of the businesses I’m Building Something supports will be on-hand for Flint Small Business Saturday, which will feature a “pop-up” space at Word of Life Church, for mobile and home-based shops. About 75 entrepreneurs, compared with 50 at last year’s event, will sell their goods and services at Word of Life, while, at least 125 additional businesses are expected to participate at their individual street locations. “We have quite a few returning vendors,” Gipson says. “We also have quite a few people who have formed businesses within a year’s time. Among the Flint-based businesses expected to participate are Elle Jae Essentials personal care products, G1F2 clothing, and Janiyah’s Tasty Treats. Sweet Tee’s Salon & Kids Spa will provide limited free services for children attending Flint Small Business Saturday. The event will be important to “our ecosystem, in keeping a lot of those dollars circulating in our community on that day,” Gipson says. Imagine Nation Productions will provide video support for businesses participating in the event, Gipson says. Other attractions will include an appearance by Santa and Mrs. Claus, who’ll be available for free portraits. Free family photos will also be offered. Patrons who attend Flint Small Business Saturday will receive a free gift, provided by I’m Building Something, LLC, if they buy from six local businesses or pop-up shops listed in a specially issued shopper’s guide. Gipson says a trip to the department store to buy discounted items on Black Friday, and supporting local entrepreneurs the next day aren’t mutually exclusive. “So, after you go to get your flat-screen, you can still come out and spend some time at Small Business Saturday,” she says. Many of the 2017 event’s shops and companies gained faithful customers who continue patronizing them today, adds Gipson.